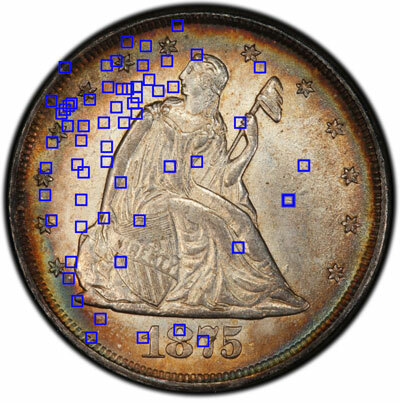 With PCGS Gold Shield, each coin is imaged in high resolution, registered, and checked against PCGS’ vast proprietary imaging database. Our Gold Shield system benefits from artificial intelligence and machine learning, helping our graders quickly identify and remove counterfeits from the market. PCGS Gold Shield may then identify lost or stolen pieces resubmitted to us, ensuring your coin’s maximum value. 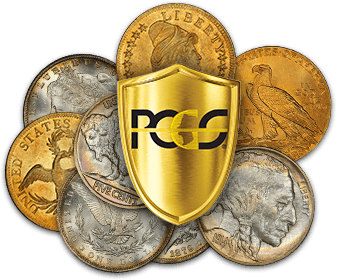 PCGS Gold Shield provides protection for your coins, and gives our expert graders high-tech tools to help win the battle against coin counterfeiting. 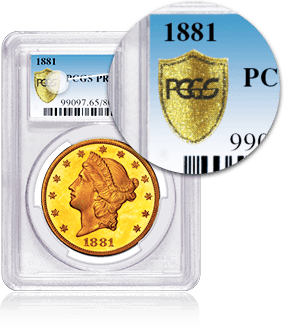 In short, nothing protects your coins - and ultimately your collection - like PCGS Gold Shield. Coins required for Gold Shield Service: 1. All World (Non-U.S.) coins submitted under any service level other than Modern. 2. Any coin submitted under the Gold Shield-included service levels (Express and higher service levels). 3. Reholders valued above $3,000. Gold Shield service is included with Collectors Club Gold and Platinum complimentary submissions as long as Gold Shield is requested on the submission form at the time of submission.